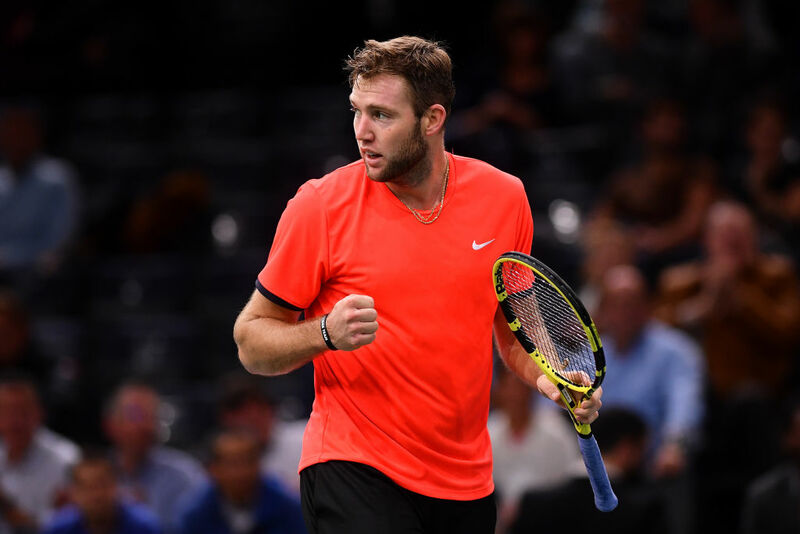 Rolex Paris Masters 2017 defending champion Jack Sock took center stage Wednesday against French favorite Richard Gasquet. With the race for the No. 1 year-end ranking between Rafael Nadal and Novak Djokovic, Sock had been under the radar. But after Nadal’s withdrawal, with the year-end spot decided, I spoke with Sock him about the 2018 season and defending in Paris. Fast-forward one year: Sock now has that first match under his belt, with much less drama. Despite a 3-0 head-to-head against first opponent Gasquet, Sock’s title-less 2018 singles results have summoned a few demons. But self-doubt did not show up against Gasquet. He took a nasty fall in the fist set, but appeared to recover without issue, advancing in straight sets, 6-3, 6-3. Historically, Sock has a solid hard court resume and his doubles experience should pay dividends in the mano-y-mano format. So what is going on this year? Post-match, he revealed that despite two doubles Grand Slam titles – Wimbledon and the US Open – as well as the BNP Paris Open title, he is missing joy on court. If I heard his words right, he believes he has let himself down. 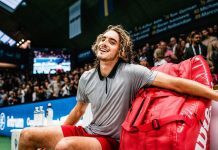 In 2018 it has been easy for him to doubles-dip due to early-round singles match losses: “It’s not hard to balance [both] when you are out of the [singles] draw on Monday.” He was quick to confirm that singles success remains the goal and that a doubles schedule will be secondary in 2019. Sock appeared content with his win over Gasquet and he remains committed to defending his biggest career singles achievement to date. But it was apparent that his singles losses this year have created mental collateral damage. A solid finish in Paris is all upside at this point. Add in some ‘luck” of the draw and ‘Why not me?’ thinking becomes even more possible. Prior to Wednesday, Sock might have needed to take down both Rafael Nadal and Dominic Thiem in order to advance to the final eight. By late afternoon, Nadal was out of the draw with an abdominal injury. A reflective Sock spoke of the sacrifices made by his family that enabled him to be where he is today. He also owned up to a less-than-disciplined approach this year, citing an eight-or-nine-pound change in racket string tension. In Paris, the change has been made – issue solved. Sock believes that fundamentally his game is intact. The challenge is to love the grind again and perhaps set aside the slide to No. 23. Resolving thought patterns can be complicated, but with a solid first win under his belt, relief may be in sight. Will Sock raise the trophy again in Paris? Given his self-awareness, I was left with the impression that this man is ready and capable. Does he have work to do? Certainly. Should Sock find ways to sustain focus and gain self belief, his physical game is there, waiting to explode. Remember, it all began with his first match in Paris last year, down 5-1 in the deciding set against Edmund. Momentum is a funny thing, a force that propels. In tennis, we see it in action in every match. In Jack’s case, ‘Why not me?’ may be just around the corner after the win over Gasquet. In fact, Sock followed it up with an even more convincing 6-0, 6-4 scoreline over Tunisia’s Malek Jaziri.